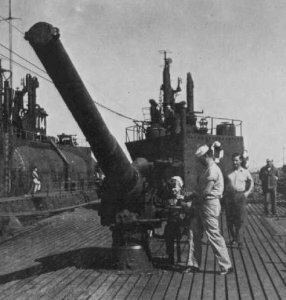 This weapon was mounted on submarines and was designed specifically for use against destroyers, with an unusually large burster charge. The mount was hand operated but used a pneumatic hoist. A twin mounting was used on I-7 and I-8 that had a maximum elevation of 40 degrees.